I don't ever count a puzzle as in the closet until it is actually in the closet. Today, after a month, the Pieter Bruegel the Elder 's Tower of Babel (9000pc from Ravensburger) showed up today even though the tracking page says it is still in Germany... The irony is I have had a tuff time communicating with the seller regarding this puzzle as I complained that it was seriously delayed. When I picked up the puzzle from the post office, I could HEAR pieces rattling around (not a good sound when you are expecting a sealed puzzle) and a piece literally fell out! So close, but no cigar! I am hoping to get a refund because either the seller did not properly ship the puzzle (NOTE: If you are shipping an opened puzzle, make sure to put lose pieces in some sort of sealable bag, being in a box is not guarantee of safe delivery) or it was damaged in shipping/customs. Either way, its the sellers problem. 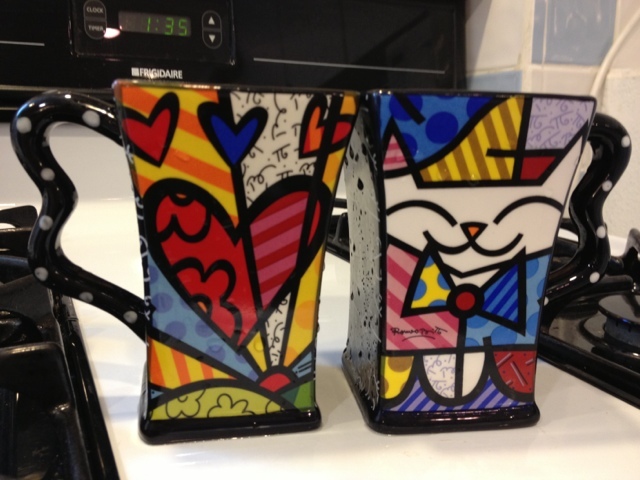 In other news, I picked up some amazing coffee mugs from the Britto Store in the Miami airport. Britto is certainly one of my favorite artists and we will soon be doing his 5000 pieces Garden puzzle! If you don't know who Britto is, take a look here! While I am counting, M is busy putting the woody together. 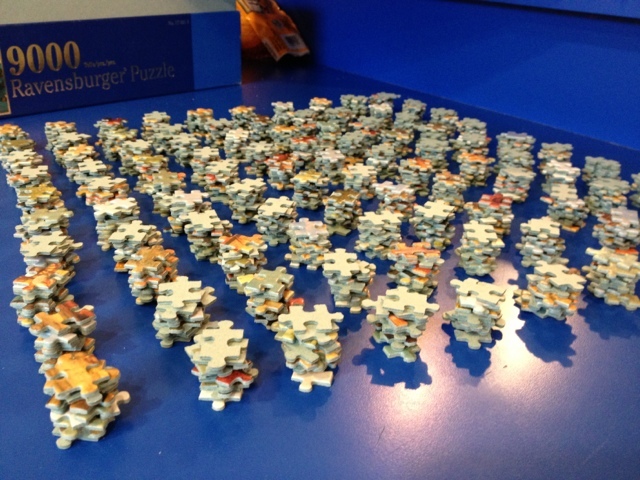 Want to play a fun game, count how many puzzles you can see in this picture! 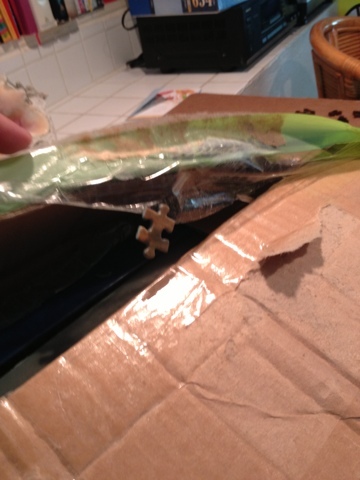 WTF, who ships a puzzle like this.... so disappointed. That's terrible! Man, I hope you are able to get a refund on this one. Did they tell you that the puzzle was open? 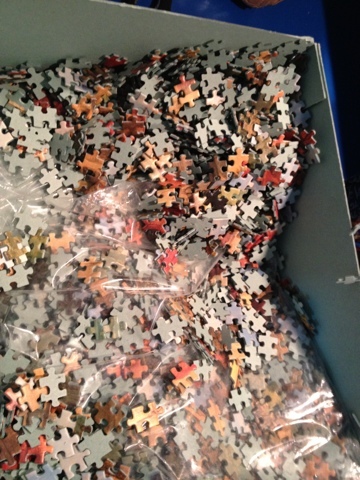 Is it just one bag (section) that's open or are ALL 9,000 pieces mixed already? How frustrating! The listing is down, but it said unopened, the pieces were loosely in the other bag, a piece of tape would have gone a LONG way! One bag is still sealed. Sorry, that is really a bummer, but hopefully you'll have some luck getting your money back through Ebay? Oh I am SOOOOO Jealous! I want this one really bad! I think I might get it for my birthday (July 3rd in case anyone wants to send me a puzzle :-)). Britto is amazing! What a mess regarding the Tower of Babel! 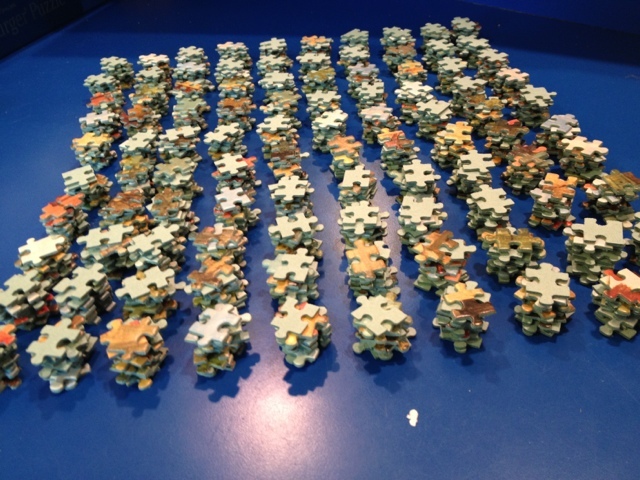 I guess that you should have 9120 pieces - otherwise there are really pieces missing - good luck!